Culpepper Jewelers offers high-quality, full-service jewelry & watch repair at a cost you’ll love (almost as much as you love your beautiful pieces)! 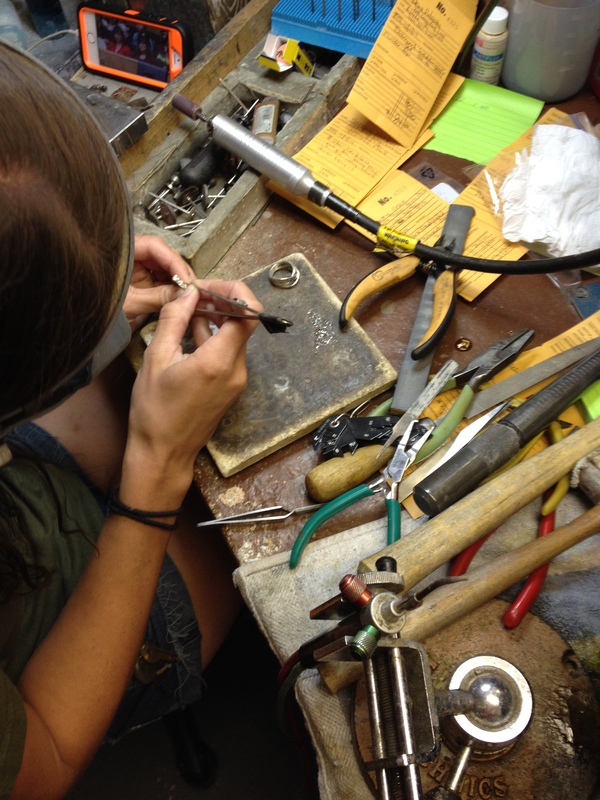 To keep the costs and the timetable low, all jewelry repairs are performed on-premise by our experienced jeweler, Chelsea Brewin. She has more than 10 years experience with all types of jewelry. If you make an appointment, most repairs can even be completed while you wait. Minor watch repairs are also done on-site and we use a watchsmith with over 30 years experience for older and kinetic watches. We offer free estimates for all repairs, so let your watches, bracelets, rings, earrings, and necklaces come for a visit! We’ll take good care of them. For those looking to add to their collection, our showroom is always full of spectacular deals on gold & silver jewelry as well as fashion watches. If you don’t see what you’re looking for, just ask! We can specially order the perfect piece for you or keep an eye out during our next buying trip. We are also known as the home of the $1.99 watch battery. Just $1.99 per battery! With such low prices, it’s no wonder that we’ve sold more than 500,000 watch batteries since we opened. Make sure to check out our famous Tank o’ Batteries during your next store visit. Chelsea has been working here since 2004. She started as counter help and has since become our full time jeweler. 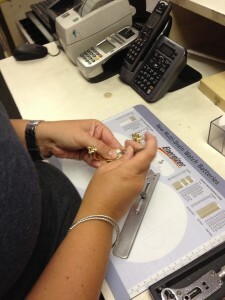 She has been our Jeweler for a decade! Chelsea has a little boy named Dustin who is 7 and spent his first year here in the shop, sitting in his jumper seat by his mom while she worked. Chelsea is engaged to marry the love of her life.